For some years I have felt that a critical strength of Washington state viticulture is the number of old vine Cabernet Sauvignon vineyards. California simply doesn’t have them; the phylloxera took them out. Now you can say that newer vineyards use better clones, better spacing, and so on. But old vines give you that something extra. Along with that notion, I keep coming back to a love of single vineyard, 100% single varietal wines. I love the purity of them, the focus and the pinpoint precision that they can give to a wine. I think they are the most difficult to do well, whether you are talking Pinot Noir, Cabernet Sauvignon, Syrah, or whatever. Why? Because blending can fix (or mask) any number of deficiencies. Different lots of wine have different strengths, and blending, when done well, shows them all at their best. The whole should be greater than the sum of its parts. But when you are making a one-grape wine from a single vineyard, you get what you get. In order for that wine to be fully expressive and lacking in any faults or holes, the site must be especially well-suited to that grape. With Oregon Pinot Noir, for example, that is not so difficult to do. There are hundreds of single vineyard Oregon Pinots, many quite good. Cabernet Sauvignon, on the other hand, comes originally from a region (Bordeaux) where blending is de rigueur. Solo Cabs certainly exist in many parts of the world, but even those are often blends from different locations. It’s the ones that aren’t that have the potential to offer a real good taste of genuine terroir. I put the question up on my Facebook page and asked for suggestions for single vineyard and grape wines. Among the crowd-sourced Cabs that popped up were Travieso ‘El Ray’ Louvau Vineyard Cabernet Sauvignon, Va Piano DuBrul Vineyard Black Label Cabernet Sauvignon, College Cellars Stan Clarke Vineyard Cabernet Sauvignon, and general applause for any Cabs from Champoux, DuBrul and Sagemoor. In my own recent tastings, here are the top-rated single vineyard Cabs. Many are in short supply, so get ‘em while you can. Full reviews and scores on these wines will appear in upcoming issues of Wine Enthusiast. All are highly recommended. This thrilling wine, sourced from the Phinny Hill vineyard in the Horse Heaven Hills, displays all the tense power of great Washington Cabernet. Deep flavors of berry, plum and cassis are threaded with gravelly streaks of tar, coffee and anise. Sharp and smoky, with bright flavors of raspberry and cherry fruit, the wine remains deep, pure and focused as it runs through an extended, detailed finish. 100% Cold Creek Vineyard Cabernet, with muscle, power and depth. Tannic, thick and darkly fruited, it’s a tightly-wound yet expressive effort, with complex flavors that move from black cherry and cassis into fig, tar, tobacco, espresso, dark chocolate and smoke. More fruit, less funk than usual; a pleasing mix of berries, cherries, plums, and figs, along with clean earth, green tea, and a hint of chocolate. Tannins are smooth and the flavors linger gracefully as it fades through the finish. Grapes are from the oldest (1972) blocks at Sagemoor, yielding a deep, rich and intense wine saturated with black cherry, cassis, licorice and barrel flavors. 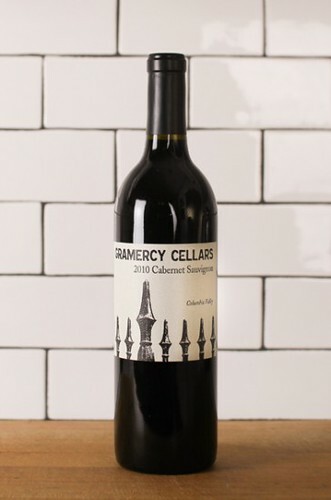 It’s perfectly balanced, drinking beautifully, and fit for cellaring over a decade or longer. This pure Cabernet from the estate vineyard shows focused blueberry, black cherry and cassis fruit at its core, with underlying minerality. Dusty tannins and firm acids support a chewy, cherry-infused finish. History in a bottle! As many previous vintages have proven, the vineyard’s strong herbal elements age gracefully, and there is an appealing creaminess to the tart rhubarb and pomegranate red fruits. Campoux and Cold Creek have been my top two vineyards that consistently produce profound Cabernet but in two completely different styles. My hunch is that it has a lot to do with vine age. In cold years vine age may buffer mother natures effects. Lately, have been astounded with what Elephant Mountain( particularly the 98 bloc-planted in1998) has been doing both with the young wine fresh off the fermentor and with bottle age. Its pretty massive stuff but with a bit of high altitude pepper that makes the wine much more interesting than a lot of other sites. Hopefully we will see more single vineyard bottling from this site. I have not seen Elephant Mt. designated but will look for it! I agree that Champoux and Cold Creek are right at the top for Cab in Washington. Hey what about Columbia Crest 2010 Reserve Stone Tree Cab? 92 in the new Spec. We at Soos Creek have been sourcing Cab from Elephant Mt. the last couple years and have been very impressed with the dark color, concentration, structure and length. Natalie's Estate Winery has been making a single vineyard Elephant Mountain Cabernet Sauvignon, 98 block, since 2006. I agree with both comments about the development of this site. It is a hidden gem for now. Their Sangiovese and Petit Verdot do very well also.